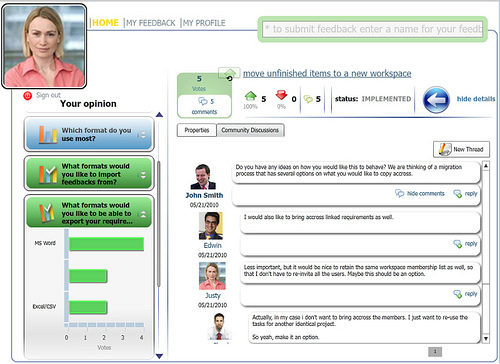 Many companies find it difficult to acquire customer feedback in a timely and useful manner. Customer satisfaction surveys and focus groups are used by most companies to develop products, but the data provided is either not actionable customer feedback or there is no process for usable data to be incorporated into all phases of product development. Most companies use customer feedback as a way to respond to individual complaints and satiate dissatisfied customers. Some use dissatisfied customers’ feedback to take corrective action without exploring the possibility that customer complaints may provide an unbalanced view. Perhaps, they have not realized that they need customer feedback from two perspectives: they need to know what is ‘not working well’ and to hear what satisfied customers are saying about the products. Over the past 15 years, the Internet has completely changed the way we do business; from e-commerce platforms to the emergence of numerous social media channels, there are countless ways companies can communicate with customers. Many companies have found creative ways to use this massive pool of data to acquire and retain customers, while others continue to struggle by relying on traditional customer surveys and focus groups to collect customer feedback. The sooner companies recognize social media as a communication channel for customer feedback the sooner they will increase revenues and profitability. Is your company fully aware of the current trends in customer management programs and does everyone understand the relationship between evolving technology, customer feedback and steady business growth? Today’s technologically driven society provides many ways for companies to make customers an integral part of their business processes. Customers want to have real-time access to a product feedback process so they can express their concerns and voice their opinions when they are ready. In fact, they do not only want it, they expect it. If this feature is not available, customers can become frustrated and take their business to a competitor that has embedded a social platform for customer feedback. According to Hall, the high levels of customer interactions made possible by social media, encourages customers to engage with companies in a more dynamic manner. If customers post comments on your company’s Facebook wall or ‘tweet’ out concerns on your Twitter page, they expect comments are being heard and actions are taken. Hall states: “…more consumers expect that their genuine customer feedback will lead to practical results.” Since customers want to be involved in the development process, finding an effective way to increase customer participation means customer feedback, in real-time, will increase product acceptance and adoption rates in the marketplace. This is crucial to your company’s success. Online communities, enables users to openly share amongst themselves a plethora of information and ideas about new products and suggestions for innovations. Companies have found ways to use open-source technology to allow individual access to the company’s end product “blueprints”. Customers can then build communities to actively share ideas about product requirements and engage with companies. This highly collaborative approach increases the capacity of companies to harness the ‘intelligence’ of online communities to continually improve and fine tune their product development process. Tapping into this massive pool of resources will give you a competitive edge and help you include product features that are aligned with customer needs. This growing trend, where users actively engage and participate in online conversations to create better products, in my opinion, will continue to increase win-win results for everyone: individuals voice their opinions and share their ideas, while businesses use this customer feedback to produce products that are relevant and attractive to customers. According to Hall, customers “want to have access whenever they want access” and they also want to ensure that their customer feedback matters. Companies must therefore make gathering and using real-time customer feedback a critical process of every team that is a part of product development. Make sure you keep your customers engaged and involved in the product development process. Use ’s suite of social collaboration tools to make it easy for your customers to interact with your company. Engage with your customers via the social web, collaborate and manage and their ideas. Turn customer feedback into requirements, assign tasks and facilitate project completion across your entire organization.